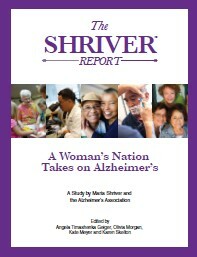 Alzheimer's is a common disorder in the world today. It's a nice thing that there are people like them who take notice on it. You're right, William. It's almost terrifying to think how widespread the disease is now. That's the bad side-effect of genetics, I suppose. I missed the event but still I am thankful you gave us a link to the video and the event. I will look at these and hopefully learn a lot more about Alzheimer's. I'm so glad that on behalf of all those affected by Alzheimer’s disease they will be donating profits from the sale of their “Join the Cause” shirt to the Alzheimer’s Association Cleveland area Chapter. How was the panel discussion? I hope you had lots of things shared and learn from other attendees.